Ce charmant studio de location au mois à Barcelone est situé au deuxième étage d'un immeuble en plein cœur du quartier El Born, à proximité à pied de toutes les principales attractions touristiques du centre de la ville. 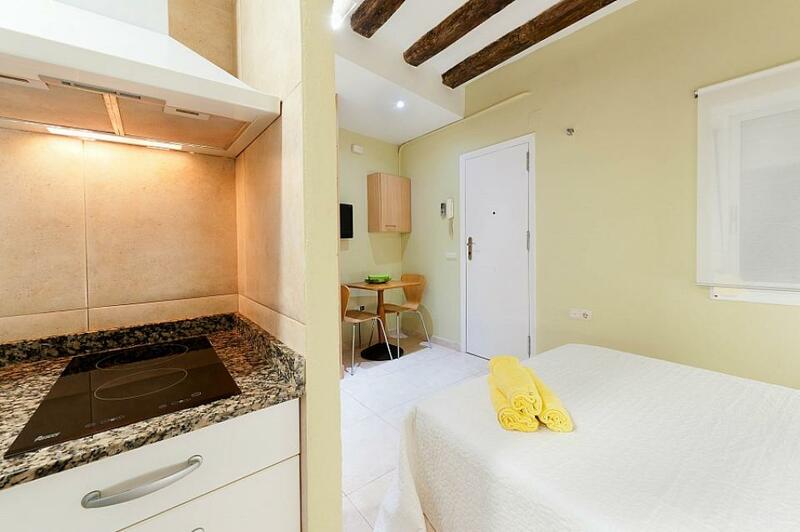 Il se compose d'une grande pièce équipée d'un lit double, d'une table avec des chaises, d'une salle de bain avec douche et une petite cuisine équipée de tout ce dont vous aurez besoin pour cuisiner vos plats préférés. Comme le studio est en plein centre, vous pourrez rejoindre facilement quelques-unes des principales attractions de la ville comme le Musée Picasso, l'église de Santa Maria del Mar et visiter la zone de El Born avec ses rues typiques pleines de boutiques artisanales et de magasins branchés. 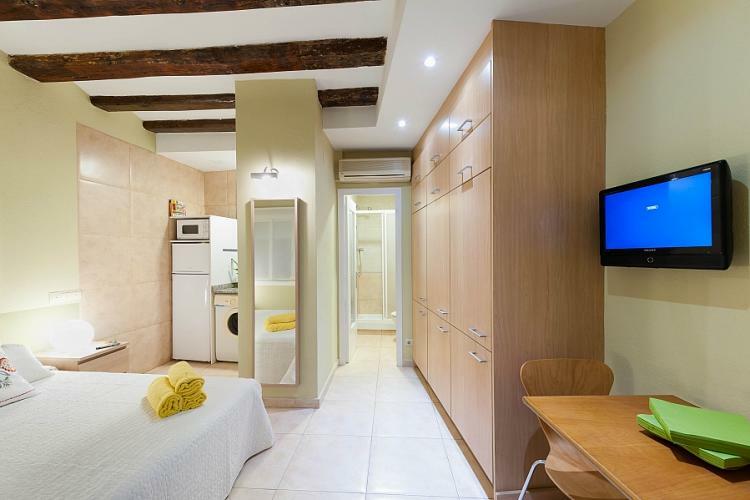 Ce studio est situé dans le centre de Barcelone, en plein centre historique de la ville, dans le quartier d'El Born, l'un des plus anciens de la ville. Il est à proximité de quelques-uns des monuments les plus touristiques, comme la célèbre église de Santa Maria del Mar, le Musée Picasso et le Palais de la musique catalane, l'une des œuvres les plus importantes du modernisme catalan, inscrit au patrimoine mondial de l'Unesco. Grâce à son emplacement unique, tous les monuments et les lieux d'intérêt historique de la ville sont facilement accessibles à pied ou grâce à l'excellent réseau de transports en commun desservant la zone. Sono stato in questo appartamento con la mia fidanzata e non potevamo chiedere di meglio! L\'appartamento pur non essendo molto grande è molto ben fornito e moderno e con una terrazza fantastica. E\' situato nel Born, un quartiere molto vivo vicinissimo alla Rambla. 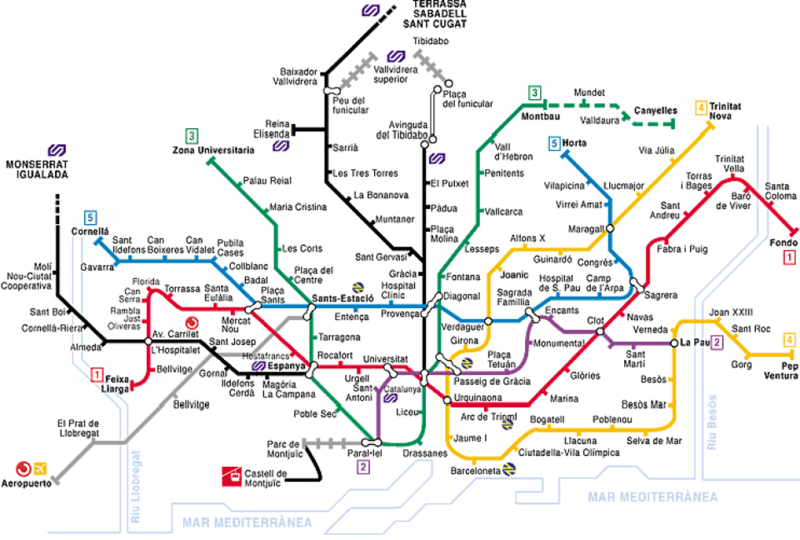 La fermata della metro dell\' Arc de Triompf è facilmente raggiungibile a piedi. The neiighbours were very loed, but everything was great. Really clean. And the check-in went very well. Hello Andro, thank you for your feedback. It makes us proud to meet the needs of our customers in the best way we can. Come back soon! Bueno, apartamento pequeño, pero cómodo, ideal para estancias cortas o largas. Ubicado en un primer piso, tiene una ventana pequeña que da hacia la calle (vista desde 25 metros aproximadamente). Cuenta con frigorífico y equipo de cocina en buenas condiciones. Cama cómoda y closets espaciosos. El baño de dimensiones adecuadas. Solo tuve un problema con el calentador de agua el cual se rompió, pero llamé a la agencia y al día siguiente lo vinieron a cambiar sin ningún coste. Estimado Rolf, gracias por tomarse el tiempo en compartir su experiencia con nosotros. 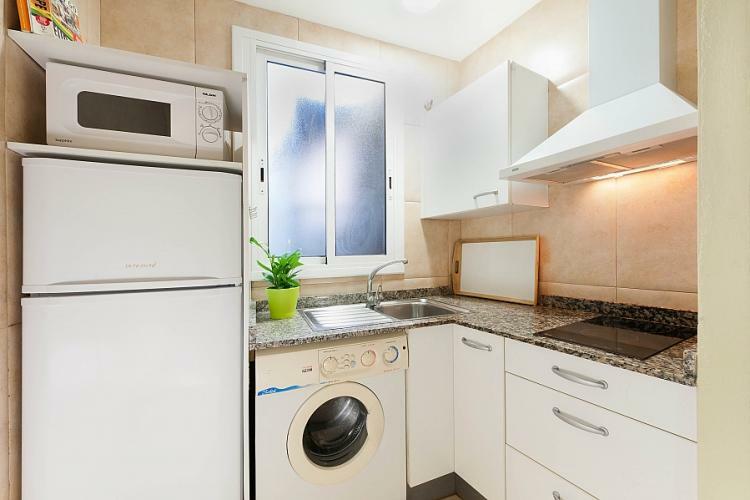 Nos alegra saber que ha encontrado el apartamento equipado con todo lo que necesitaba. Saludos desde Barcelona! I stayed in this flat for 1.5 months while working in Barcelona. 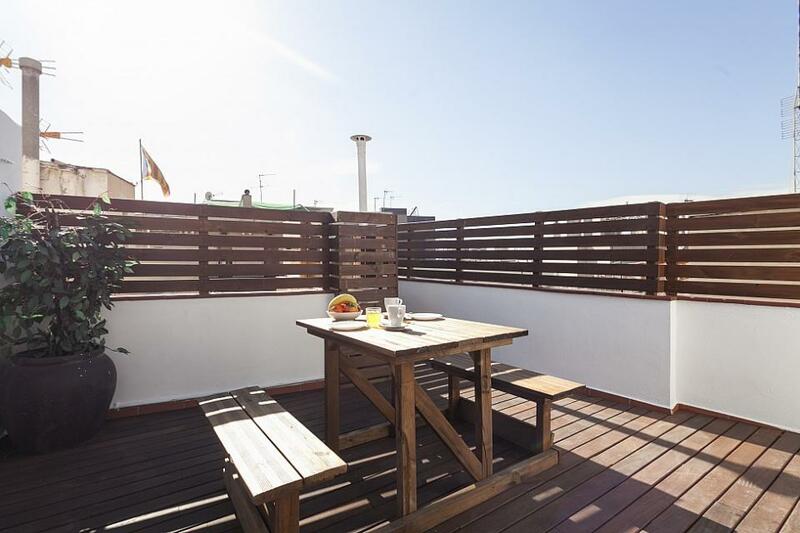 The location is almost unbeatable, it is in the heart of El Born with everything within walking distance. The area is safe at night and filled with bars and restaurants. The flat itself was small but adequate for one person. The building is rather old but the apartment is in relatively good condition, not pristine but everything works. It is an interior apartment, so relatively dark and without daylight. It can also be noisy, since there is an interior window towards the corridor. None of this bothered me, this apartment is great if you want to be right in the middle of everything. I was staying for a relatively long time, so I bought some additional items (wine glasses, trash can, sheets) which were lacking or not to my liking here. I also got to test the emergency number the rental company provides you with, since the toilet broke at night at the beginning of my stay. They sent a plumber to the apartment the very next morning. 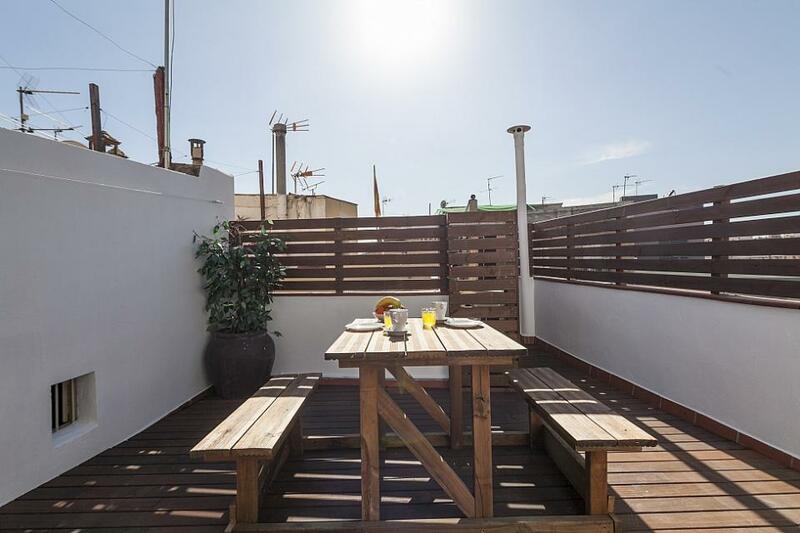 Everything definitely went smoothly with this company, so even though the rent is a little bit pricey compared to what you could find in Barcelona generally, I thought it was worth it. Recommend. Nice to hear that you enjoyed your stay! We would like to remind you that if if there should be any problems, please contact us, the landlord, and we will be happy to help in solving the issues! L\'appartement est fort petit et ce n\'était pas toujours facile de vivre à deux dedans. Aussi, l\'appartement est situé dans un quartier avec beaucoup de passage et mon copain a eu du mal à dormir à cause du bruit. Mais l\'appartement était proche de tout et nous avons pu profiter avec plaisir de la terrasse le soir en rentrant d\'une longue journée de visites. The apartment, though small, was great for our needs. It was in a great location, with plenty of great places to eat and drink nearby, and was only a few blocks from the nearest subway. The roof terrace was a nice place to sit and have a drink after a long day of touring Barcelona. My boyfriend and I stayed one month in this studio. We had a very pleasant time here. 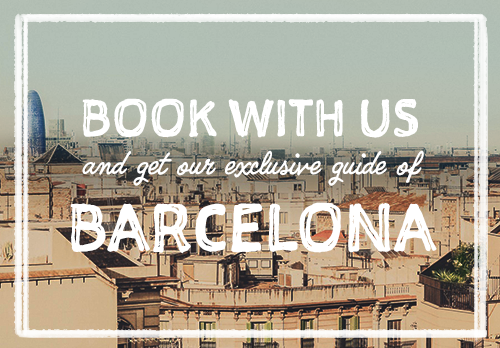 The studio is situated in, in our opinion, the best part of Barcelona, El Born. 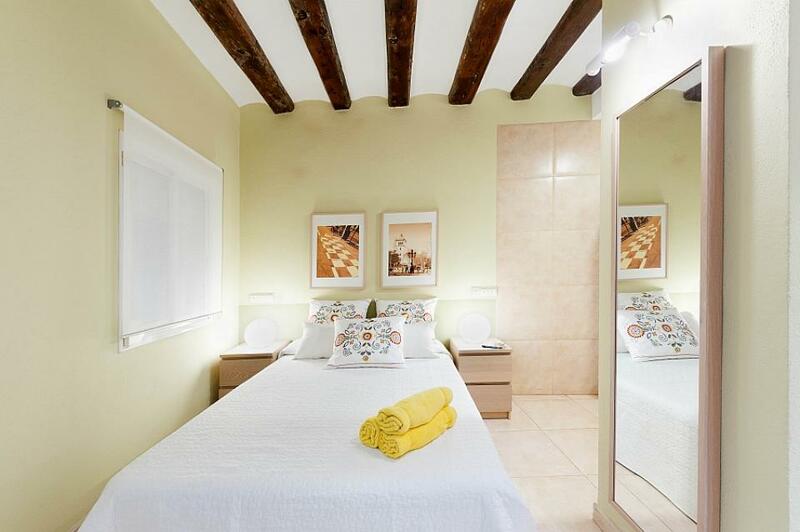 Close to everything you need: the beach, a lot of good and cosy restaurants, Cuitadella Parc for a walk or a place to relax in the shadow, a new sportcomplex, the Zoo, etc. The studio is small, but has everything you need. 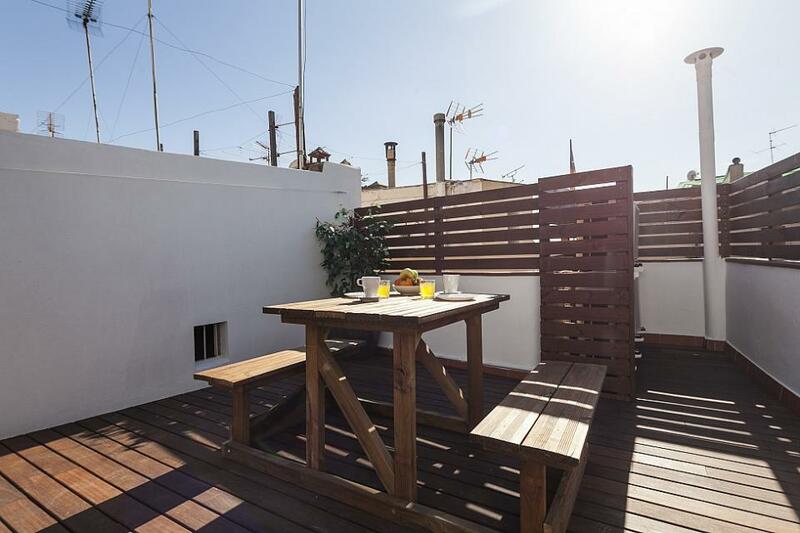 We also liked the terrace on the roof! Thank you so much for this wonderful vacation! Alojado en este apartamento con mi pareja he pasado unos días en Barcelona muy buenos. Todo genial. The apartmant was really nice :) We stayed there for a month and it became our home. It was cosy, bit smaller than what it looks on the pictures, but enough for 4 persons. It\'s clean and everything looks new. The area in which is is nice and safe. Hello Ana, thank you for your stay in my apartment. I am happy you enjoyed your time in Barcelona! 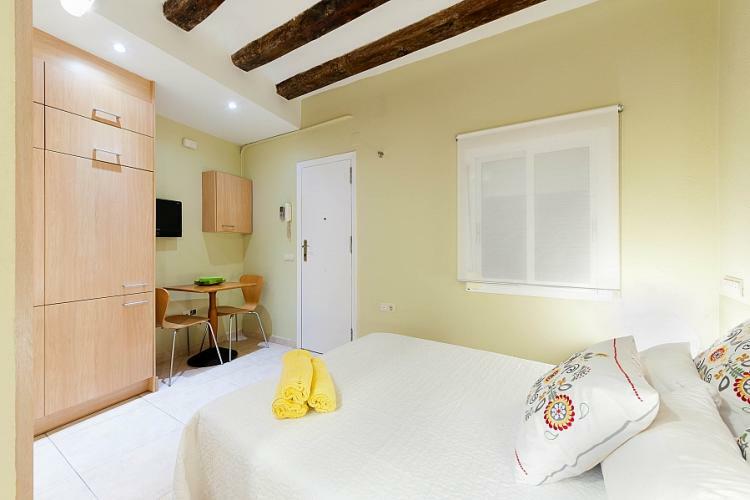 Nous avons loué cet appartement avec mon amie afin de profiter de Barcelone en amoureux. D\'une décoration simpliste mais moderne, il offre un cadre apaisant et relaxant, idéal pour un séjour romantique. Situé à coté de la plage, on s\'y rendait tous les jours à pieds. 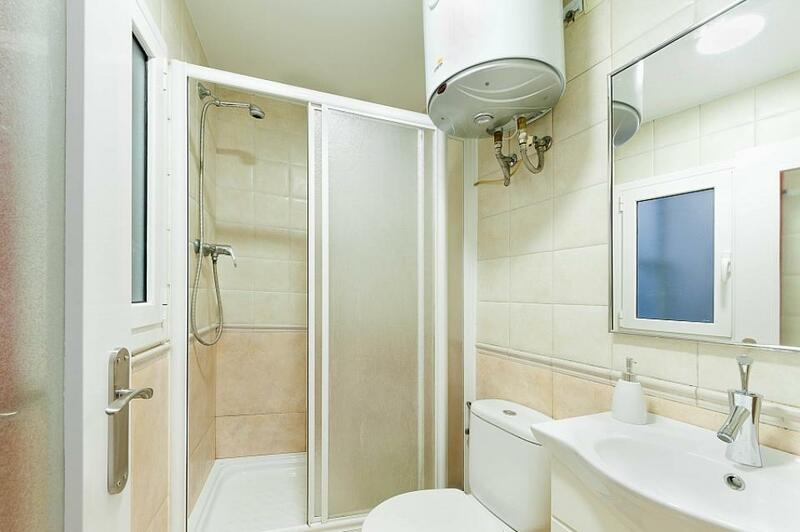 Cet appartement tout équipé vous permet de ne vous soucier de rien mis à part votre bien être. On s\'y sent très bien. Nous vous le recommandons sans aucune hésitation! 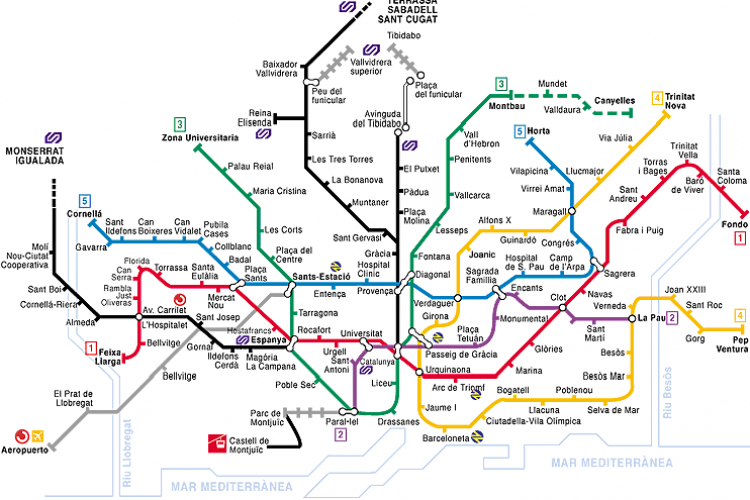 Le quartier du Born est le meilleur quartier de Barcelone ! Il y a tellement de choses à faire, tellement de bars et il est situé à côté de tout ! 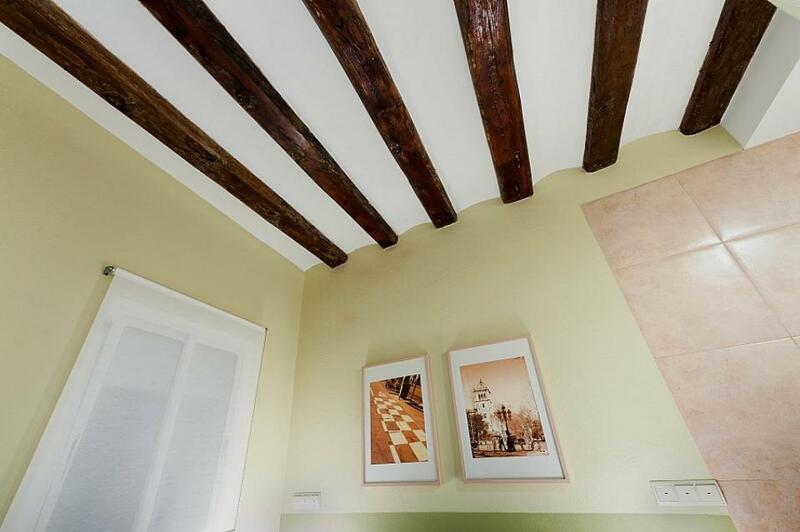 On a fait beaucoup de recherches pour finalement prendre cet appartement. Il répondait à tous les critères qu’on s’était fixés ! Assez grand pour nous tous, abordable et surtout un minimum bien décoré. Pour nous c’était même mieux que ce qu’on pensait trouver ! Cet appartement était la perle rare ! me and my husband had the perfect getaway in this tiny cosy apartment in the center of Barcelona.... couldn't have been more romantic!!! The location was superb and the whole atmosphere in the apartment was lovely. We were on a site-seeing / socialising holiday and we had everything within walking distance. The apartment was divine and the staff could not have been any more helpfull. the born area is really nice, close to everything and it has good sushi restaurants where we ate a lot of good sushi! I went a week in Barcelona because of the work. When I got back in the studio I found it well laid out with lots of storage. It was very comfortable moreover it is situated not far from the beach so I could go soak my feet in the sea while returning from work. I would return to Barcelona!